These are disturbing pictures. Our son lived in Montreal for about 18 months recently. Such a neat town, or so we thought in the balmy September sunshine. It reminds me to be careful about bitching about our winter here. Ah, who am I kidding; we'll keep on complaining until outdoor yoga season is back. Yep, Vespa's are really great pieces of engineering. I always liked seeing the whole engine & trans out, sitting comfortably on a bench propped up by the rear wheel and centre stand. 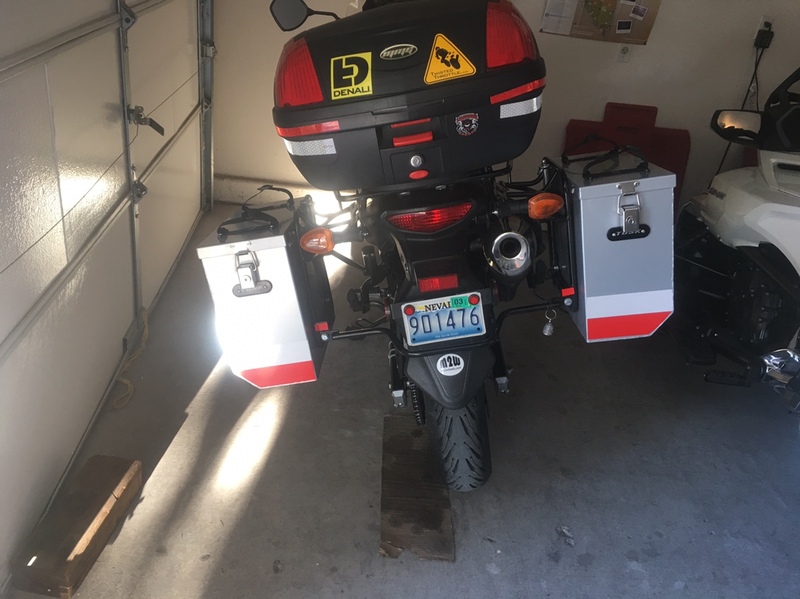 As an upgrade to the Givi Crash bars I installed 2 weeks ago, I installed a set of LED driving lights to the bars. older parts I had left over from my old bike. The light kit came with wiring harness, Relay and all connectors. 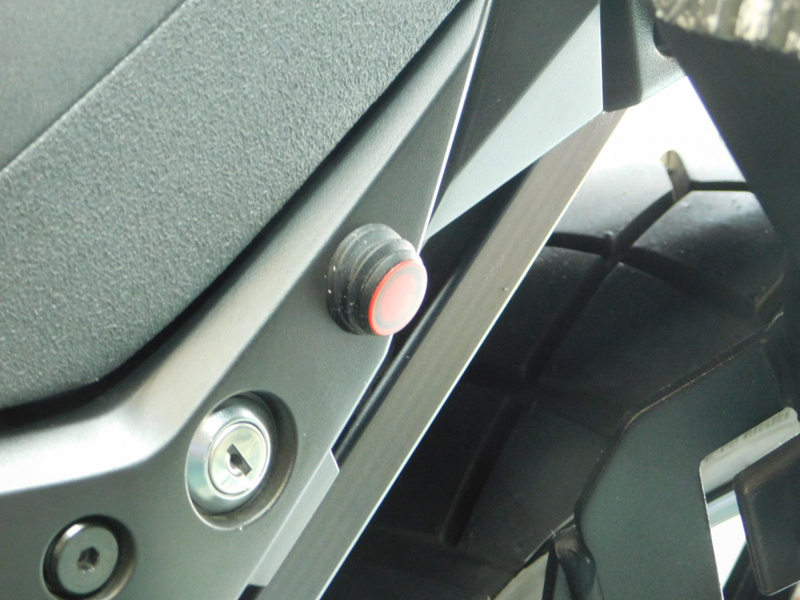 a hidden waterproof switch just behind the seat latch lock. This cuts power to the whole thing. Works like a charm. Check out the pics. 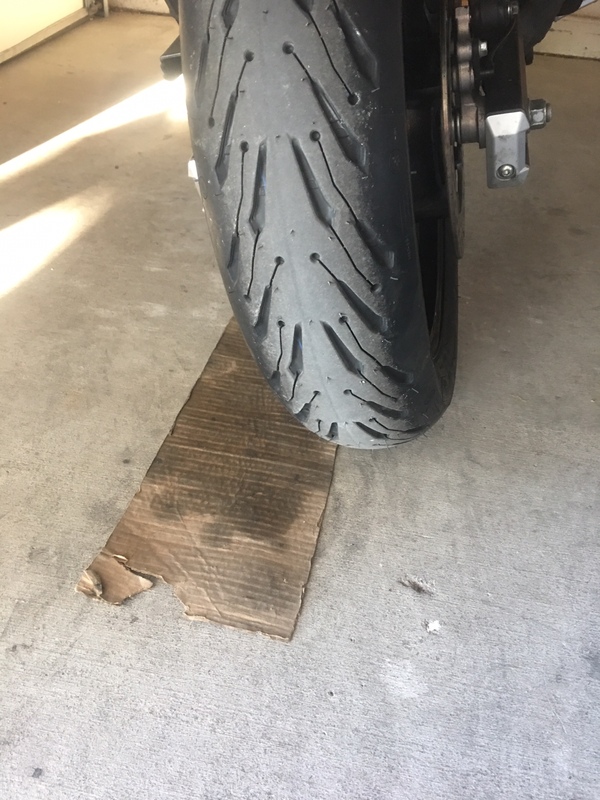 I took the bike out for it's first ride of the season on Saturday, the bike felt a little odd, vague handling, which made me remember I had forgotten to check tire pressure. I checked the pressure today, 23 front and 12 rear!! I aired them up and did a little ride, huge difference in handling. 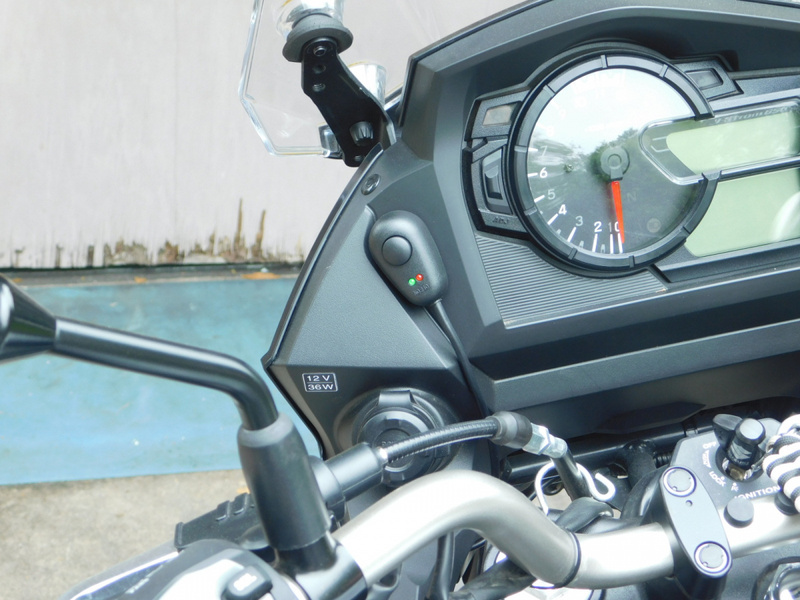 Don't forget to check tire pressure when you pull your bike out of hibernation. Recently fixed a faulty clutch switch. Spent 2 hours cleaning 2 years worth of chain wax off everything. Installed a Tutoro chain oiler. Only a 3-week old owner of a 2014 1000. First things first, changed oil and filter and air filter, and greased all linkages. Then took it on its first decent run - two day adventure ride on tarred roads, dirt roads and some 'grade 3' tracks. Verdict? Amazing on tar and dirt roads, and acquited itself well in the tight stuff, where the ABS and traction control helped no end. Negatives? Offroad suspension capability clearly limited, and fairing shakes noisily. And front sprocket area jams with mud easily. 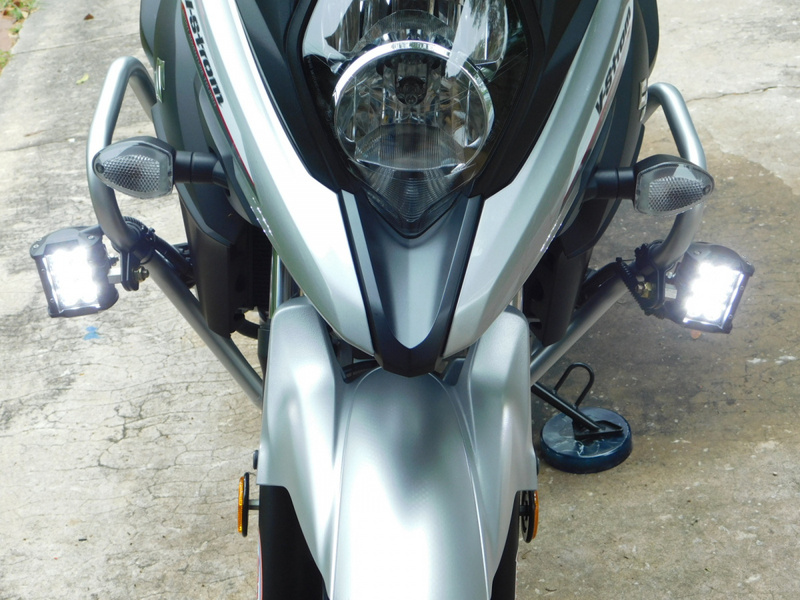 Will check fairing mounting bolts but failing that, may need rubber isolation? As for suspension.....Gold Valves?? Just a suggestion.....you might consider rotating them forward inside the protection of the engine guards. 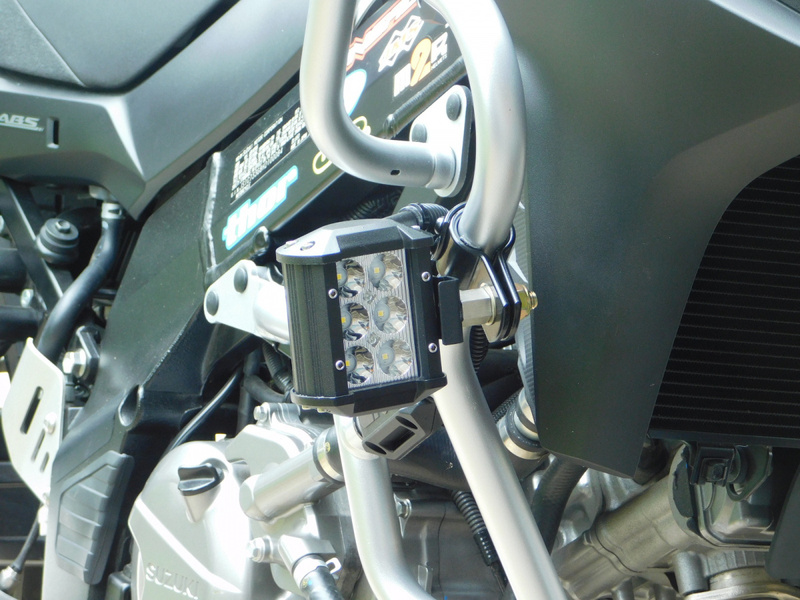 As mounted and if that bike hits the ground, not only will the light get damaged, it might pivot in and hit the tupperware and do more damage. New rear tire, Road 5 Trail. 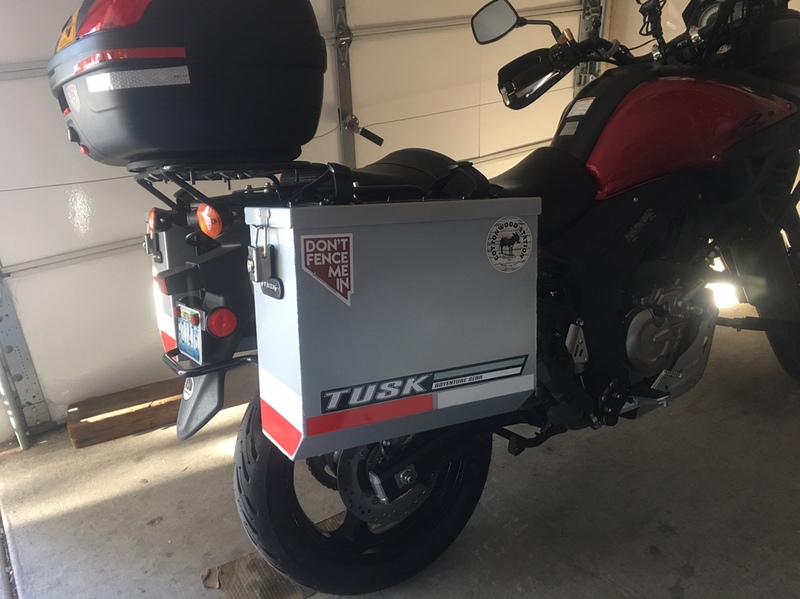 New Tusk medium Panniers. Dragged the Vee out from behind the snowblower. Replaced the OEM battery. Polar Vortex must have hastened is demise, even with the Battery Tender running. Took it out for a short ride to enjoy the first sunny reasonably warm day here in Michigan. Installed Eatern Beaver ABS cut off and 1 headlight cut off. Made the air deflector things out of an old windshield.Installed raising links (only 5/8" ).